First I just want to say thanks to the few people who have already shown interest in this series. You're the best. I'm working on a time-sensitive contract at the moment, and it's pretty much demanding all my attention, so the next pack will still be a couple weeks away. I will also be making a free update to this pack with some extra props around the same time. Hope you'll like 'em! I'll also be doing icons, portraits & UI elements after that. ...All of those packs are going to happen no matter what (barring something happening that prevents me from working at all). After that, there are a bunch of things I want to add. 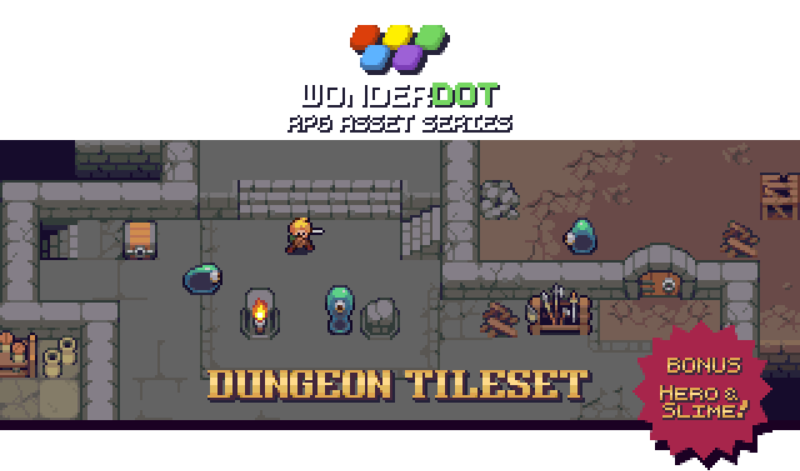 Village, cliffs (actually really looking forward to this one), woods, crypts, castles, with monster or character packs to release with each one. Since a lot of time and care goes into these, it will depend a little on how well they do if I can get this far. 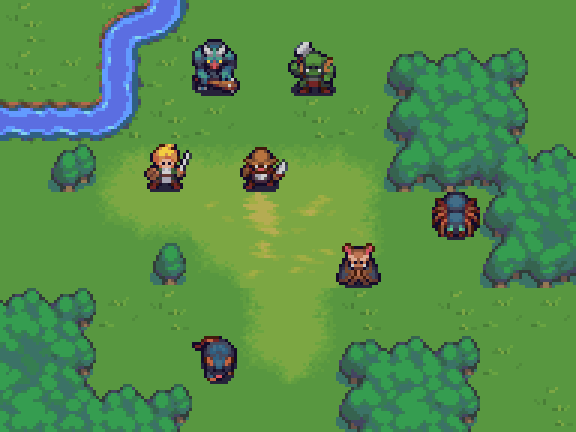 Battle graphics that could be used in a traditional JRPG or for battle cut-scenes like in Shining Force/Fire Emblem are also on my wishlist. Do you plan to continue to develop this pack further? I see you also plan to make an asset with User Interface for the game. 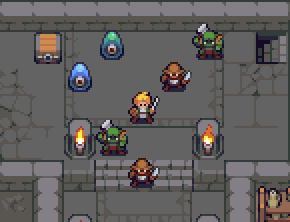 I'd like something as in old DOS games as "Eye of the beholder" or "Dungeon Master", I mean arrows controls, compass, character portrait with health/mana bars and 2 hands for object use / attack, inventory. And some general purpose button like "? ", treasure chest, cog wheel, map, magic book. Just going through a back-log of things I haven't responded to! Apologies about that. Are you still considering making those other packs? I absolutely love your work. Yup! Absolutely. Work has slowed a bit as I have another project that's taking priority at the moment. I'm excited for it! I saw this pic on your Twitter while I was scrolling through. looks awesome! but will it also have bigger trees? something that would tower over you ( just like real trees really) it's kinda hard making a forest look scary with those tiny ones. Keep up the good work. Also looking forward to your other tile sets. Can't wait for villages forts, maybe castles and all that. you should also do ports and all the stuff. something with which you can create an entire world with. Will you also make bosses? Your monster pack is really good for normal enemies, but i can't really see them alone in a boss fight. If you do decide to make bosses you should also add them some special ability animation. I downloaded a free boss asset and it had a vanishing death animation so cool i used it for a teleport ability too , and it changed the feel completely. a 3 frame bonus animation changes everything.